Last week saw the launch of Pokémon Go in the UK. Even before it was officially launched here, the PokéGym outside our office had become an eclectic mass of kids on their way home from school, tourists and adults on their lunch. Although the avid fans have been eagerly awaiting the app’s release for a while, the popularity has surpassed everyone’s expectations. People who were not even bothered about Pokémon are finding themselves walking out of their way, trying to track down the silhouetted figure on the nearby list. 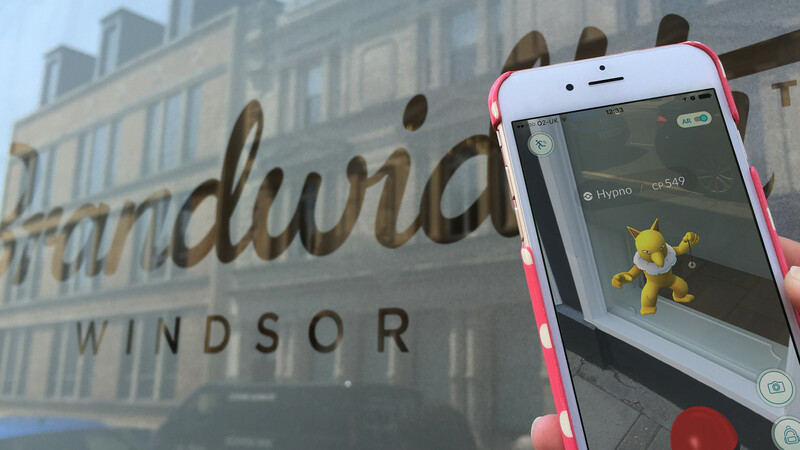 The elegant combination of mobile technology and APIs are partly responsible for its success; augmented reality has been around for a while but it feels like this is the perfect implementation for it. I would have given anything to catch an actual Pikachu when I was kid and this is probably as close as I can get to experience the real thing. Using the Google maps API and having to travel to specific locations remains true to the original premise of the game and appeals to people in the same way city treasure hunts and geocaching do. Multiple reports of app related incidents across the world (despite the various warnings when you begin the game) have also proved that no matter how rigorous the testing, human nature and the way people interact with an app can not always be predicted. However, it’s not all bad, with the lure of elusive Pokémon nearby, the app has made me walk more than my Fitbit ever did. I could also count the number of conversations I’ve had with strangers on one hand before playing this game, yet whilst trying to battle a gym or hanging around a lure I’ve made a few new PokéFriends. By deeming certain locations worthy of a PokéStop, it has even made me aware of places and statues that I’d never discovered before. Whilst the app itself may not have longevity, there is no doubt that it has raised the bar for mobile gaming and in combination with the recent surge in Virtual Reality, it will hopefully push interactive gameplay further. Finding that sweet spot of the right technology, execution and IP together to produce something truly memorable is what should be commended, and it’s certainly put Nintendo back on the map!